For something unique, we have our grey Marle American twill cap. Designed as a structured 6-panel baseball cap, it is made of premium cotton twill. The cap is very light and you will feel comfortable to wear it. The mesh back allows breathability. This makes sure that you feel fresh all the time even when it is hot. The handsome six-panel style reinforces the shape. This mesh cap is available in a 2 colour combination of grey fabric and black mesh. It has a double plastic snap closure to enable it to be worn loose or tight. The cap has a pre-curved peak and is one size fits all. The subtle colour of this cap will suit almost all business logos. Brightly coloured logos, in particular, will really 'pop' against the muted grey. 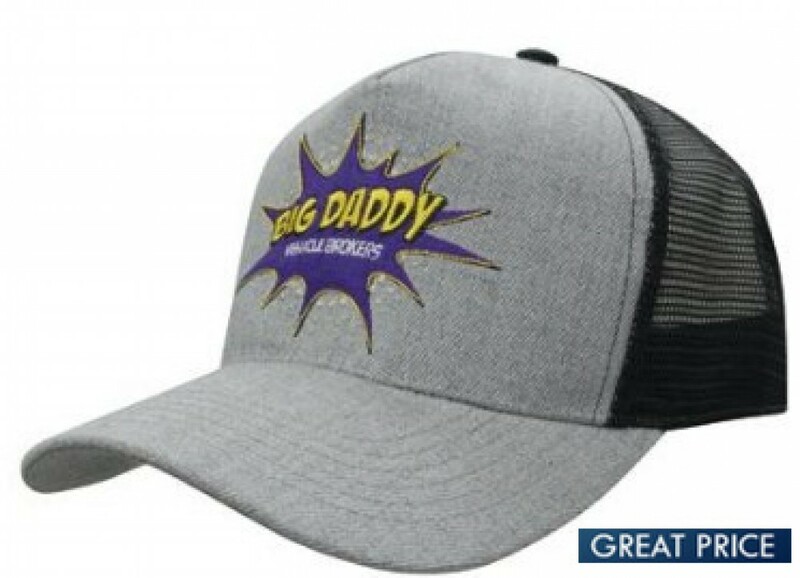 By ordering this fabulously designed grey cap you will receive your logo customised onto the item with up to 8000 embroidery stitch counts. It is a general purpose cap that can be used for sports or product launches, expos and tradeshows. To receive free artwork mock ups provide us with your graphic or design file in eps, pdf or high-resolution jpeg. The price excludes GST and delivery. We stock these caps locally in Australia to enable immediate branding. Our fast production service is one week from artwork approval. Delivery time is additional and will differ between states in Australia. Contact us and let us assist you with your next promotional event.